How do people react when they experience a positive event while pursuing a passionate activity? 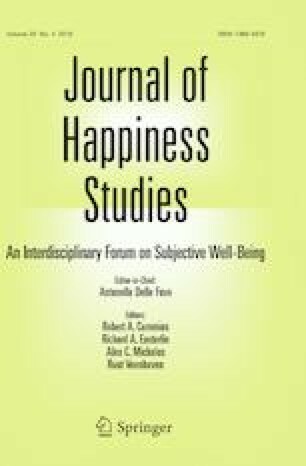 In this research, we conducted three studies to test if the extent to which people respond to positive events by engaging in savoring (i.e., attempting to maintain or enhance positive emotions) and dampening (i.e., attempting to down-regulated or stifle positive emotions) is predicted by levels of harmonious and obsessive passion for an activity. Study 1 (n = 321) and Study 2 (n = 547) both showed that harmonious passion positively predicted savoring, whereas obsessive passion predicted less savoring and greater dampening. Moreover, in Study 2, savoring mediated the relationships between both passion varieties and well-being outcomes. In Study 3, we extended these findings and tested if these relationships depended on whether a positive event was a result of an in-progress or completed achievement. Soccer fans (n = 394) imagined how they would react if their favorite team won either the semi-final (in-progress condition) or final (completed condition) of the ongoing UEFA champions league. In both scenarios, harmonious passion was a stronger predictor of savoring than obsessive passion. Obsessive passion also showed strong relationships with dampening in both scenarios, although this relationship was attenuated in the completed condition. Overall, these results reveal that passion varieties matter for predicting how people manage their good feelings following positive events, a finding that has implications for our understanding of the pathways that link passion varieties with well-being outcomes. This work was supported by the Social Sciences and Humanities Research Council of Canada under Grant Number 756-2016-0132.